Home › Situation in Turkey › Lawyer Gokmen Yesil was wounded due to brutal assault of police. Police used plastic bullet in courthouse. Lawyer Gokmen Yesil was wounded due to brutal assault of police. Police used plastic bullet in courthouse. Police brutally assaulted and detained 10 lawyers during peaceful meeting in Istanbul Courthouse. 4 lawyers hospitalized because of ill-treatment of police. One of the victim lawyers is Gokmen Yesil who is wounded from his face. There has been a relentless campaign of arrests which has targeted fellow lawyers across the country. In 77 of Turkey’s 81 provinces, lawyers have been detained and arrested on trumped-up charges as part of criminal investigations orchestrated by the political authorities and conducted by provincial public prosecutors. 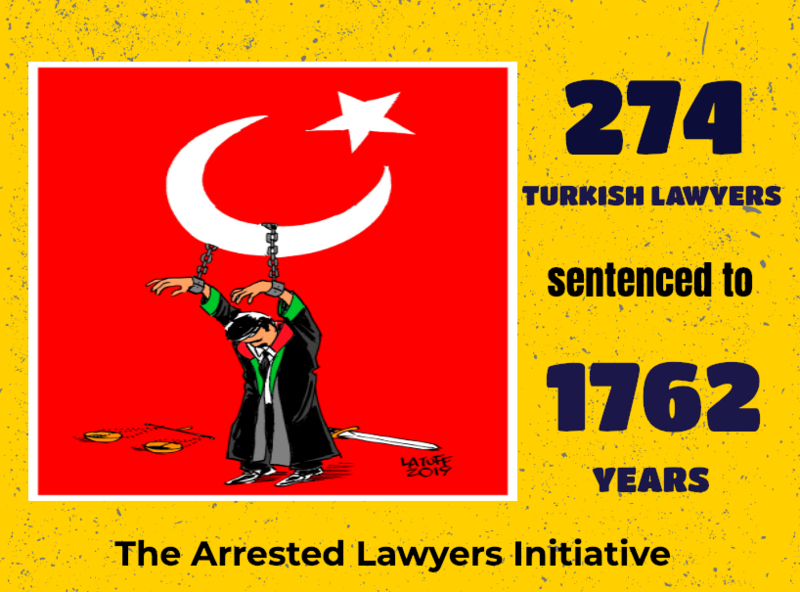 As of today, 521 lawyers have been arrested and 1315 lawyers are under prosecution.